Advance Registration Required! TOPICS COVERED: Substance abuse Depression Mood disorders Training will start promptly. Please be on time! Advance Registration Required! TOPICS COVERED: Depression Bipolar Mood and behavior DISORDER Training will start promptly. Please be on time! ADVANCE REGISTRATION REQUIRED! 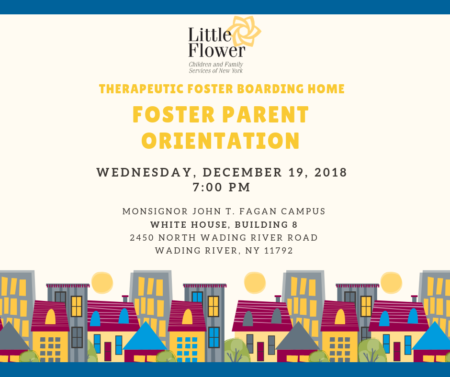 Topics Covered: FOSTER PARENT ANNUAL REAUTHORIZATION TRAINING Adolescent Behavior Family time TRAINING WILL START PROMPTLY. PLEASE BE ON TIME–LATENESS IS UNACCEPTABLE. 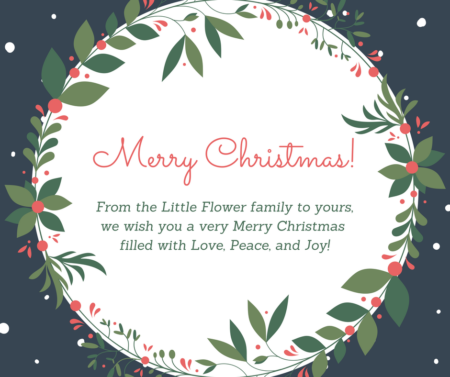 Little Flower offices will be closed Tuesday, December 25th in observance of Christmas. Our offices will reopen Wednesday, December 26th.